This is the first book of Blacklist but I can't start a new section, just a thread in an existing section so here goes.Â Although Penguin say they can't say much I did establish it is book 1 of Blacklist. 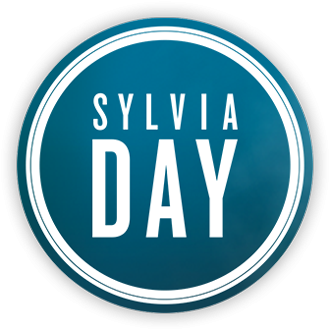 Thereâ€™s not much we can tell you just yet about SO CLOSE, Sylvia Dayâ€™s new novel, except that itâ€™s due to be published in June â€“ and we canâ€™t wait. Stay tuned. Sylvia Day Hi, Niki. I'm not sure why they posted a June release date, when a date has not yet been set. As soon as a release date has been confirmed, I'll update my website and we'll share on social media. That said, yes, my next series will be the Blacklist series, a duet of novels following two characters you haven't met yet. It's a contemporary series, set in my beloved New York. Kane and Lily's romance spans years (instead of the handful of months covered in the Crossfire Series) and I'm very excited about it. You'll be able to start their story via an excerpt of So Close that you'll find at the end of One with You. I had read somewhere that we will see some characters from Crossfire in the Blacklist books. It was along time ago. Being set in New York maybe, she has recurring characters in the Georgian Series. I wounder how many books will be in the Blacklist Series? I guess we'll just have to wait. I hate waiting. Gideon was mentioned in one of her other books, Blood and Roses, Deanna in AfterBurn/Shock.Â It may just be that we get glimpses of characters at events that Lily and Kane go to, could be a mechanism to give us updates on their lives as the Crossfire series does take place over a very short period of time (and we don't know if there will be an epilogue for a later time so we know their future). It's just the two books in this series (So Close and Too Far). I forgot about Deanna being in Afterburn/Shock. I didn't really care for those books that much. I haven't read Blood and Roses. I might check it out. Lily is the female, maybe a cousin to the Vidal's? I get we'll wait and see! Just read the excerpt at the end of OWY.... So is 'the most eligible bachelor who just eloped' Gideon? Also, the story seems to be told in third person ? Is that how it's describe ? I believe the bachelor is Gideon. I also feel the same way that it was told in third person. I also got the feeling that Lily was running away from Kane. I am sorry I hope I didn't spoil anything for you. Nothing spoiled at all, I was leaving reading any of it until the book came out but it makes sense now that I should delve into what is to come. I'll be waiting until both books are out to read ???? Sylvia is presently working on So Close. The publisher will announce the release date once the story is complete and edited. At this time, itâ€™s expected that So Close will release in early to mid-2017. This is the most up to date information on this topic as of August 2016. I just popped on Good Reads to see if there was any further detail on this book - there are lots of ratings for it already, some one star, some five stars and in between - yet no-one has read the book as I believe the author is still writing it so how on earth can someone rate a book that is not written????? We'll see them again, in the Blacklist Series and Ireland's series. Happy New Year D500, I hope you are having a great year so far.Â I miss Gideon and Eva so much it isn't funny. since the last time we chatted on here I have read the Crossfire Series twice I guess you could say I am obsessed hahaha. I have a question maybe you or someone can answer it for me. I have a Twitter account however, when I tweet something to Sylvia Day (and others) I never get a response I know I have my account private so next to my name is a padlock could this be why I do not get responses? My question on Twitter to Sylvia Day was will the novel about Ireland be released after the Blacklist Series, I know I only tweeted it 14 hours ago but I was hoping I would be a response or a hello. I don't think the author responds to all tweets so don't be disheartened not to hear from her.Â Its the same on her Facebook, people ask questions and often it is other readers who answer.Â She says she is writing at the moment and Gideon is talking to her . . . . .Â so that may be why she is responding to a few people giving hints about the characters featuring in the next four books she is contracted to write.Â Despite the criticisms from some over the ending of One With You, the books about Gideon and Eva do sell, but she is right not to keep them as the forefront of future novels.Â Their main storyline of getting together and particularly bringing Gideon out of his closed in situation with his family (and other things) was completed and they were very much together at the end of that book.Â It will be good to read about a different couple, but knowing that at some point in the storyline we'll get to catch up and find out some of those things that were not finalised in the Crossfire series. Haven't made up my mind if I am going to buy this book (kindle version) or the series....depends on the price.Â Tired of buying it for $9.99 and then later on it is offered for half the price.Â Other publishers/authorsÂ do the same thing, sometimes it is "free" in the kindle version for a short time after the release date; but with no release date mentioned I don't have anything to worry about. Hopefully we'll hear something about a release date but like I have mentioned previously I'm impatient haha.